I hadn’t planned on doing any summer racing but my running group advertised a popular trail run that many said they were participating in. So I’ve never done an actual trail race. And I’ve never raced at night. Totally seems like a good idea to do both for the first time together, right? The race is put on by Jamil Coury, the guy I wrote about a few weeks ago who did the Barkley Marathon. He founded Aravaipa Running and I’ve heard nothing but good things about their races. I’m super excited to finally have a chance at participating in one. I’m pretty excited about it actually. Nervous too, but definitely more excited. There’s a 10k, a 27k, and a 64k option and I decided to go with the 27k. 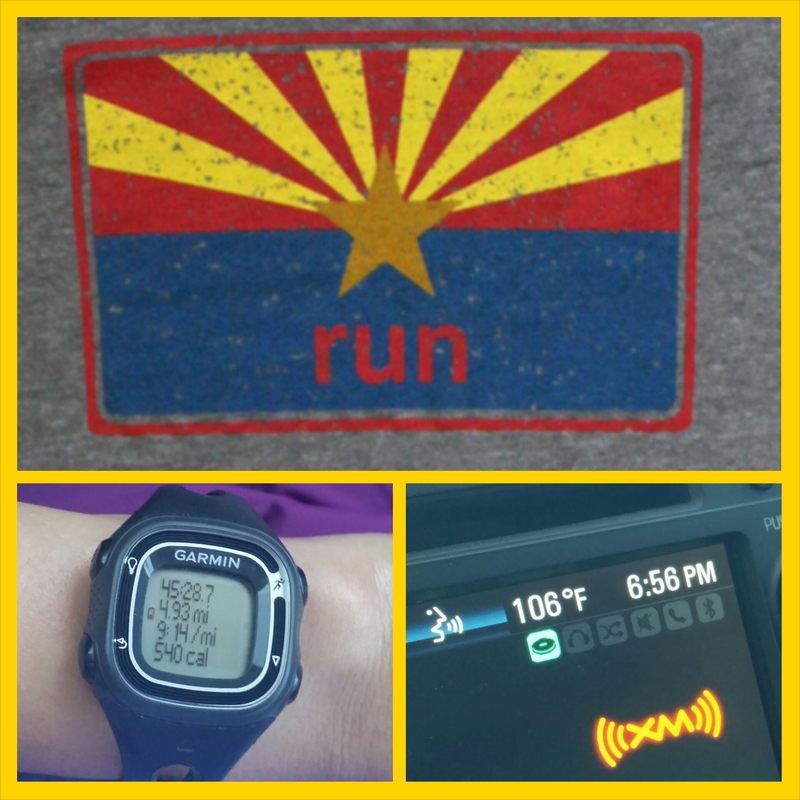 AZTNT, my running group, has a ton of people signed up for it so it’s going to be a great time running with friends. I don’t have any goals or expectations with it; I just plan on enjoying myself doing something different. I feel like I need things to look forward to to kinda help the days go by. With this 100 Days of No Soda starting, I’m going to need all the motivation I can get. I plan on also looking around for a 4th of July run. August will be plenty busy with me going back to work (this news will be elaborated on in a later post 🙂 ) and once fall gets here, race season comes with it full throttle. But for now, this trail race in a couple of weeks has me counting the days. I’ve got my head lamp ready and we’ll just see what happens! –Have you ran a race a night? What tips can you give me? –Do you schedule races to have something to look forward to? What’s the method behind your planning, if any? The challenge starts June 1st and ends September 8th. Click here for details. 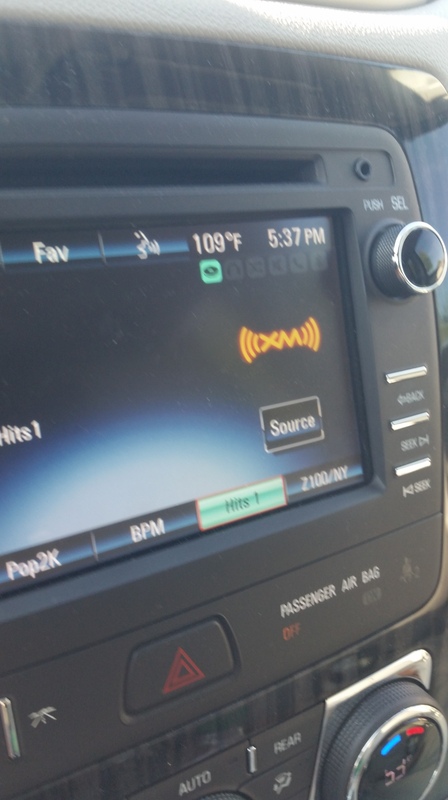 Living in Arizona, I’m used to our hot weather. Really, I don’t think there’s anywhere else I’d rather live. But running here is hot hard. We typically don’t see crazy heat til June but it looks like we’re in for a long summer as my run on Tuesday was in above average temperatures. After my run. Not much of a difference lol! 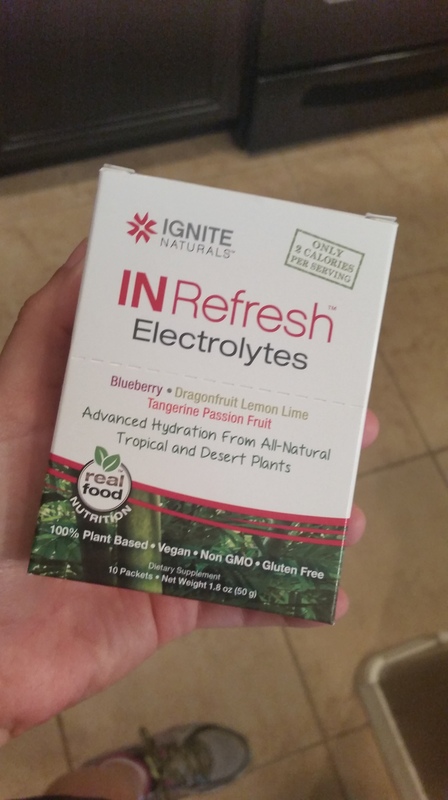 I made sure to hydrate and even tried out a new product by Ignite Naturals. The box comes with 10 packets of three different flavors-Blueberry, Dragonfruit Lemon Lime, and Tangerine Passion Fruit. For my run, I tried Blueberry. The instructions say to add 1 packet with 8-12 ounces of water depending on taste preference. I grabbed a bottle of Dasani (16.9 oz), took a swig, and then poured in the pack. My thought process was that after I drank from the bottle, I would make it around 12 ounces of water. I might have over shot my drink. Once I mixed the contents and tasted it, it tasted really good but also really fruity. I blame it on my very scientific way of having made my drink so I don’t think it’s always this way. I tried it again the next day at track, giving Tangerine Passion Fruit a shot. This time, I took a small sip from my water, then mixed in the contents. Much better. It was still on the fruity side but definitely not as concentrated as the previous mix. I like trying new types of electrolyte drinks especially because of the aforementioned heat wave that’s started. And also, since I’m planning on going 100 Days without soda, I’m going to need some alternative options. Remember, it doesn’t have to be deprivation of something. You can add things that you struggle doing and hope that after a 100 Days it becomes a habit. Two more days before we start–join in! The challenge starts June 1st and ends September 8th. –What’s the weather like where you’re running? –What do you think you can go 100 Days doing? 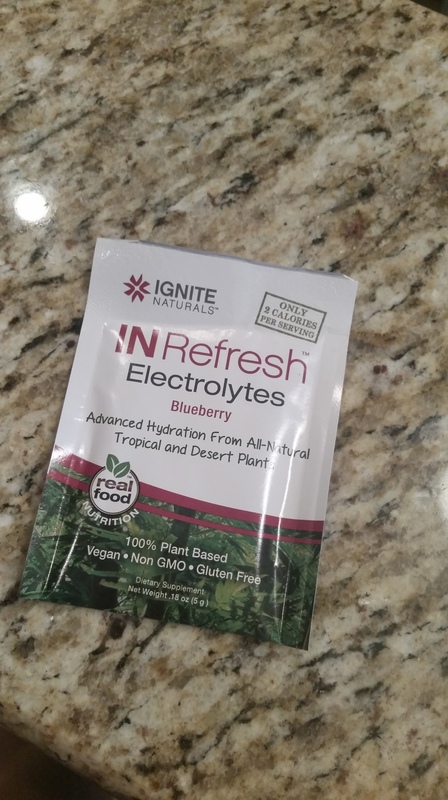 –What type of electrolyte drinks do you like? ETA: The challenge starts June 1st and ends September 8th. 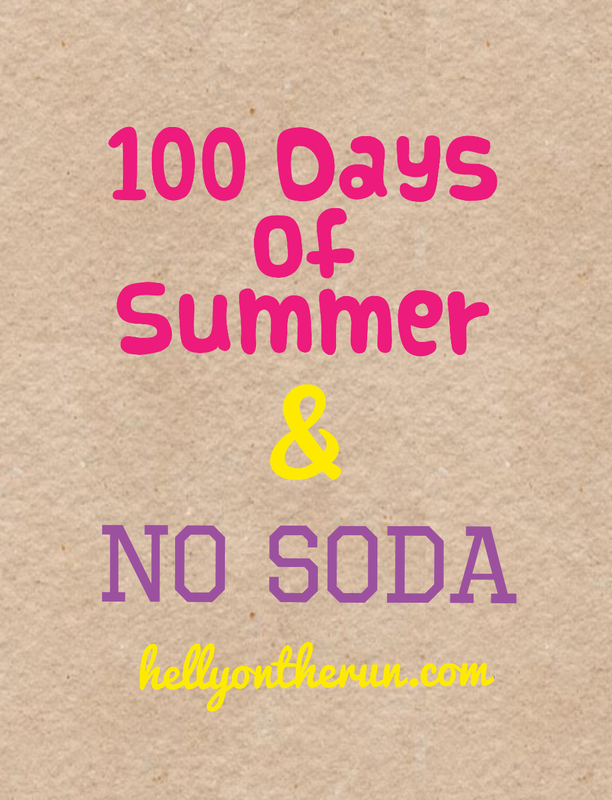 Marathon training #2 starts mid June and in celebration I’ve decided to kick-start it with a fun 100 Days of Summer & No Soda! If you’ve been with me a for a while, you know that me and soda are pretty close buddies. I am interested though, in seeing how/if my body changes through training and no soda. This curiosity is strong enough to commit to 100 days of eliminating it from my daily life. I’ll leave you with a couple of days to think about it. I hope you decide to keep me company! ❤ ETA: This will start June 1st and end Sept. 8th. –What ideas would you throw in to the 100 Days plan? –Do you think I’ll last 100 Days without a Coke?